When we went around the Upstate last year talking with board members and funding partners about how Ten at the Top could move to the “next level” both around our role in strengthening the Upstate and in stabilizing and growing our involvement and funding base, there was one very clear theme and directive. 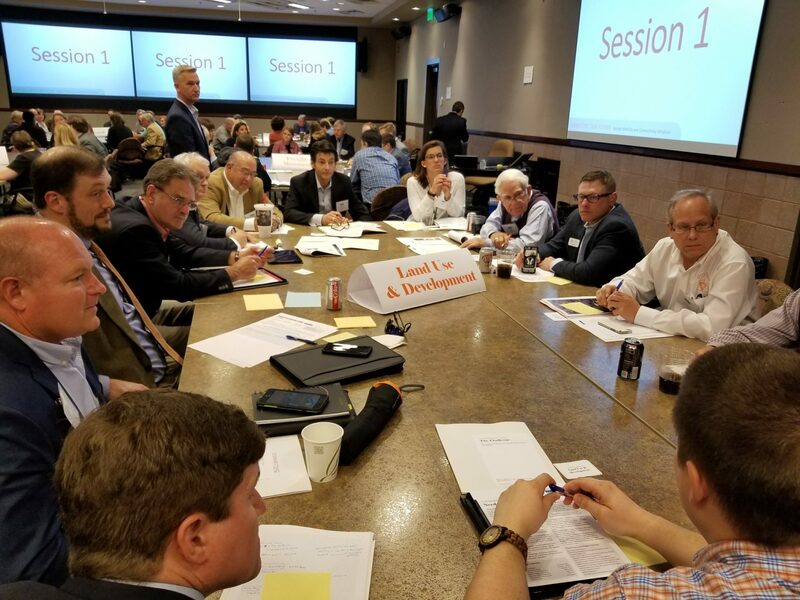 We needed to figure out how to maximize our limited staff resources to focus on collaborative capacity building regional initiatives that supported our mission of enhancing economic vitality and quality of life in the Upstate. So, at the beginning of 2018 we moved fundraising and marketing from a full-time staff position to an agency contract and made the focus of both of our full-time staff members other than myself to be around program and initiative management. Looking at just the first quarter of 2018, the results have been more impactful than even I could have imagined. In the first three months of the year, we are actively engaged in nine regional capacity building initiatives focused around elements of the five driver areas of Ten at the Top. In terms of the number of regional engagements and participants, this has been the busiest quarter for TATT since we started in 2010. During the first three months of 2018, TATT conducted 30 regional engagements with 1,500 total participants. 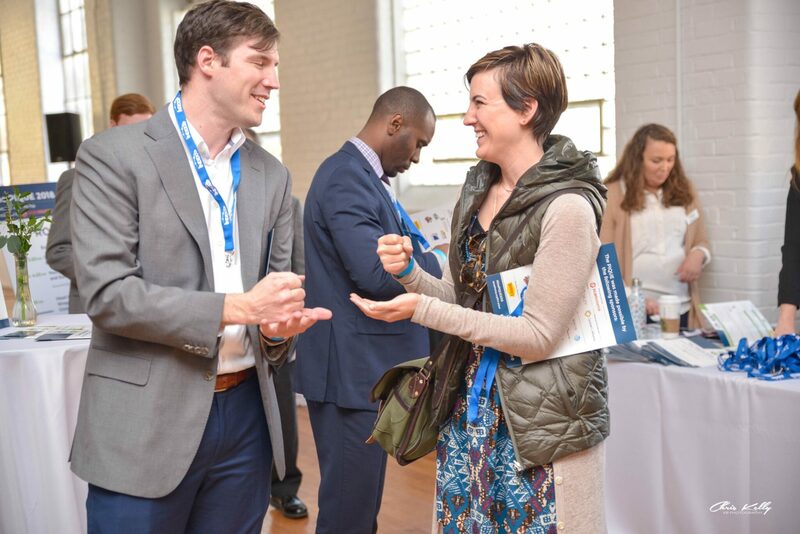 In addition, as part of our role as a regional connector, TATT staff regularly attend events and initiatives led by other organizations across the Upstate so we have a greater understanding of who is engaged around what issues and opportunities. Through the first three months of 2018, TATT staff have attended 38 outside events, including at least one in every county in the region. Additionally, TATT is one of several regional partners involved in the early stages of developing a long-term, strategic, talent recruitment initiative that will be rolled out over the next year. 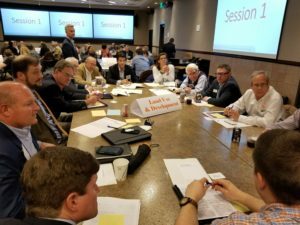 There were several notable events and meetings hosted by TATT during the first quarter. Perhaps the most significant was the first-ever meeting of Upstate K-12 Public School Superintendents and College/University Presidents and Provosts. TATT also held the third annual PIQUE: Young Leaders Summit that connected 275 young professionals and business/community leaders from across the region. The Connecting Our Future Mobility & Connectivity Initiative is continuing to build towards the unveiling of a regional vision and actionable strategies later this summer and the first quarter included the initial meeting of the project Advisory Committee as well as the gathering of more than 125 stakeholders to share their ideas on future mobility and transportation during an Ideas Exchange. 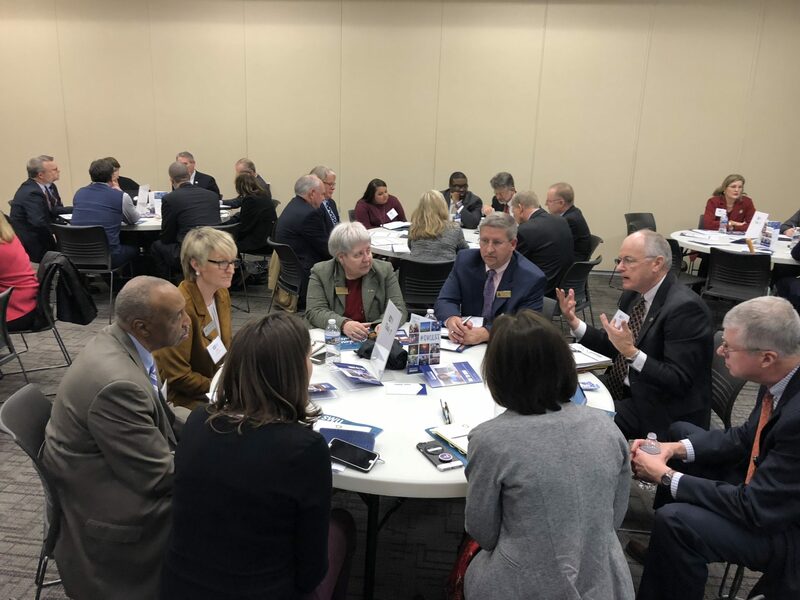 Since very early in the efforts of Ten at the Top, identifying regional resources, growing awareness of what is happening in the Upstate and connecting stakeholders has been a major emphasis. The Upstate Information Hub was created in 2012 to serve as a regional repository for resources and events. Over the last year, TATT has developed a number of Regional Asset Inventories and Interactive Maps that make it easier to find specific resources, see who is addressing specific issues across the Upstate, where there are opportunities for collaboration and where there are gaps. A new partnership with In the Know Upstate that will be formally rolled out in the second quarter will increase the awareness of these regional assets and continue to showcase the many great organizations and initiatives in the Upstate region. While TATT has been incredibly busy pursuing our regional mission, our board and staff have also been working hard behind the scenes to ensure that our fundraising and communications efforts are strong and that we are able to continue to be engaged in regional capacity building efforts. Unlike many similar organizations, TATT receives very little government funding and are not a “pay to participate” membership driven organization. This approach has been critical to TATT’s success as we annually have more than 400 organizations and businesses from across the region with representatives on our committees and engaged in our capacity building efforts without the barrier of having to make a financial commitment. Therefore, our financial support is much more dependent on individual businesses and organizations who believe in our mission and regional value and that are committed to be engaged not only in our regional efforts, but also in financially supporting TATT. Our Fundraising Committee is taking a very active role in working to build long-term sustainable funding that keeps TATT able to focus primarily on our mission. Currently, we have roughly 100 funding partners and we are working diligently to continue growing that number. We greatly appreciate all of our financial partners as well as the individuals, businesses and organizations that have been involved in capacity building initiatives that help make the Upstate a leading place to live, learn, do business and raise a family.